Valentine’s Day is not only a celebration for sweethearts. It is to honor the death of Saint Valentine’s Day. Saint Valentine is a legendary martyr who died in the hands of the Roman empire. The death of Saint Valentine’s coincides with the celebration of Lupercalia. This is a feast wherein young women chooses the man they like. The young man they choose can court them the following year. The exchange of cards and gifts started in the 19th century. Today men ask the women on a date and treats her special. Take them out for lunch or dinner. Others join the breaking the world’s record of kissing. The country who has the greatest number of couples kissing on the night of Valentine’s wins the world record. In the mean time, singles celebrate their Valentines with friends or relatives. 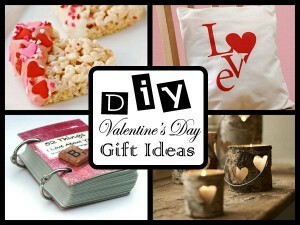 They also exchange greeting card or gifts to enjoy Valentines. DIY Pie in a Jar. Pie jam partnered with cookies are perfect partners. 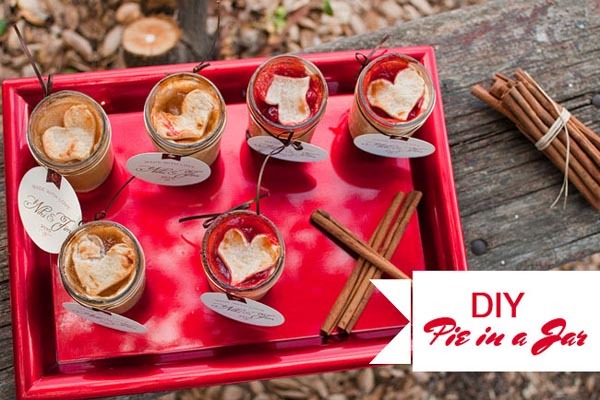 Share this pie jam for your perfect love and make your love grow. Every bite has a taste of sweetness that will delight your heart. 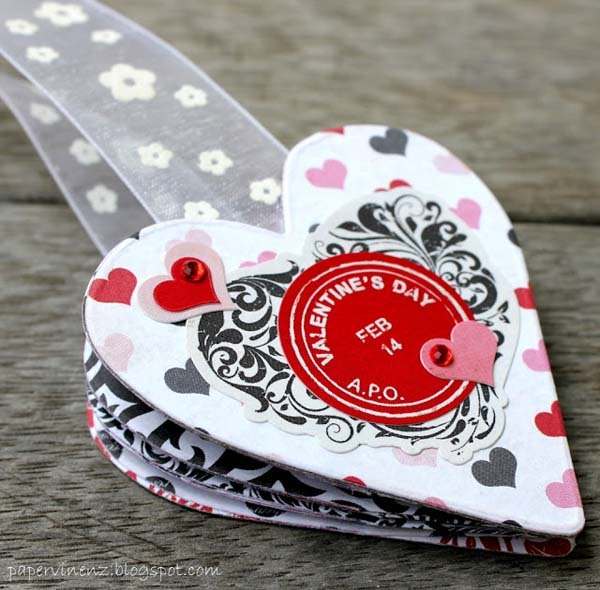 DIY Valentine Bookmark. 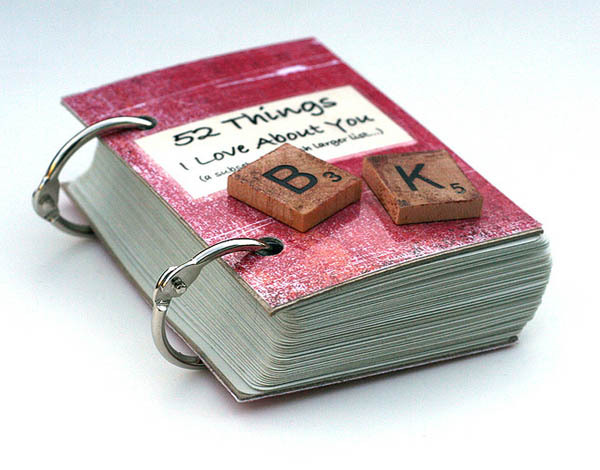 Create a nice bookmark for your lover. 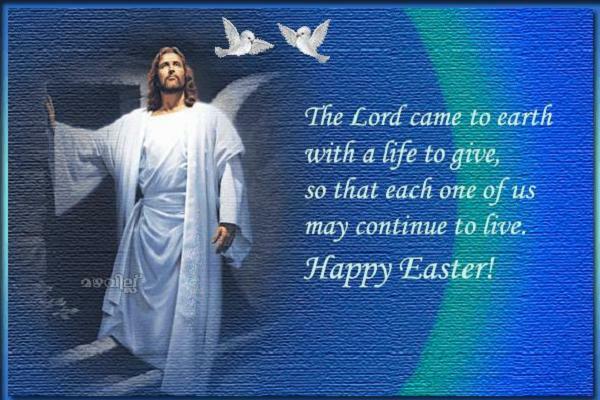 Place it in a card or a book. Write a sweet message on the bookmark to tickle his heart. Love Pillows. Give your love one a pillow to hug a night. 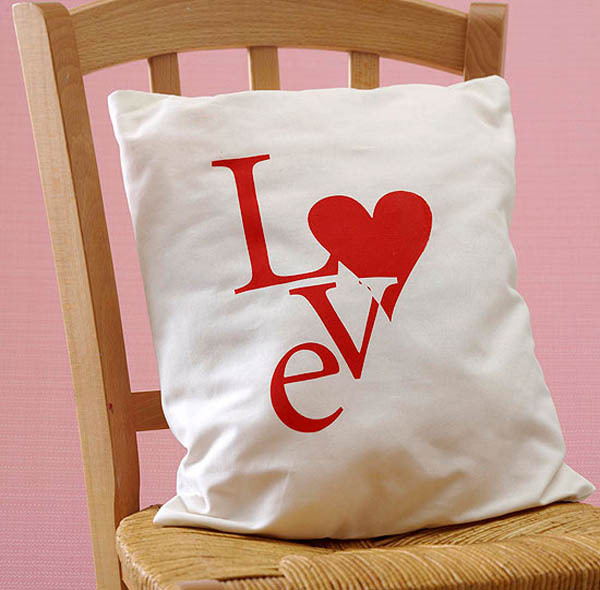 Pillows will remind your love one that you are still near even when you’re away. It will give them comfort and love. Homemade Recipes. This valentines get ready to bake this mouth watering recipes. 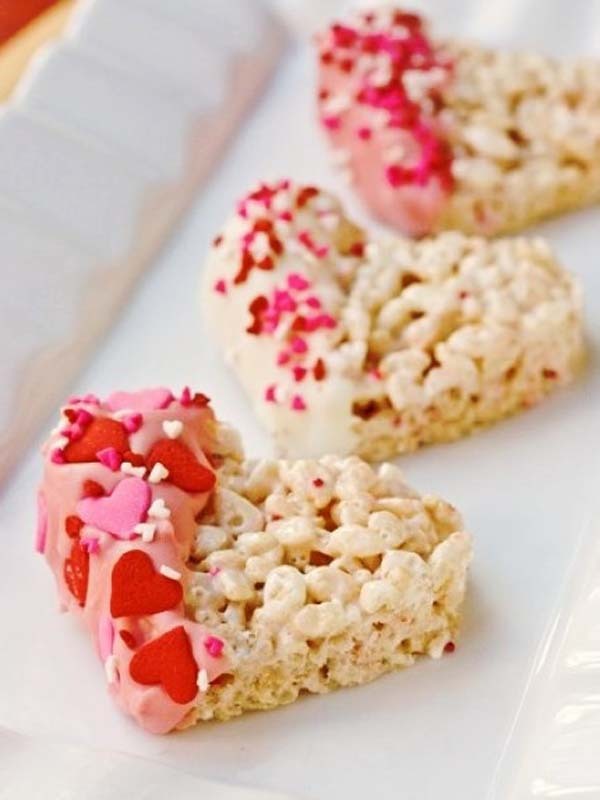 Get ready for the rice crispies, chocolates, cookies, cakes and pies for this valentine. You can give it as a gift for your sweetheart or you can give it to your friends. You can also sell it and earn a lot. Valentine Luminaries. This is such a great idea for Valentines day. Create a magical moment using this crafty and DIY luminaries. Make your jar look elegant by adding a laced fabric and tying it with a colorful knot. Share the special moment with your love one this Valentine. 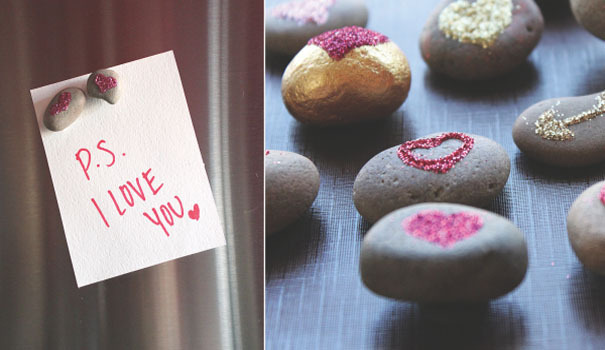 Love Rock Magnets. Rocks can have a special meaning if the person put his heart while designing on it. It can be designed with glitters, pen or other tools for crafts. A lovely rock for a sweet friend. Love Quote Wine Wraps. Treat your love one in a fancy restaurant and bring the best tulips or roses in your town. Make it more special by buying an old age wine and drink it with your beloved. 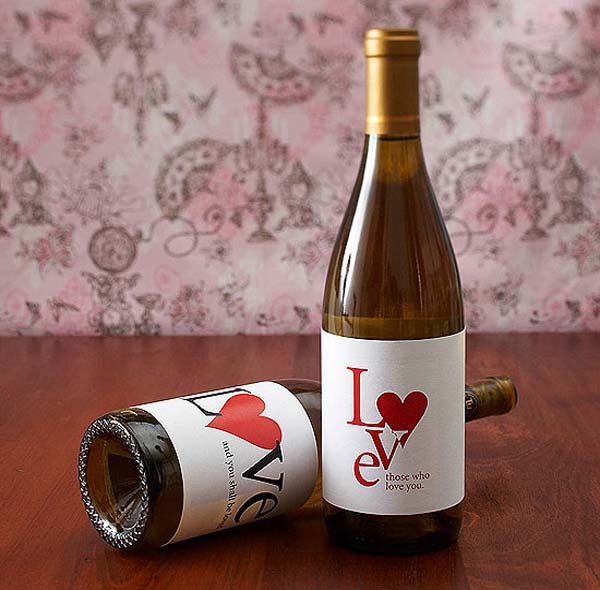 Design your feelings for your love one by replacing the label of the wine. Things I Know About You Book. Create a mini book with a deck of cards. Bind it with a good cover. Include a nice message about your friend and make her happy. I Love You Because Message in a Bottle. Create this bottle key ring made of metal. 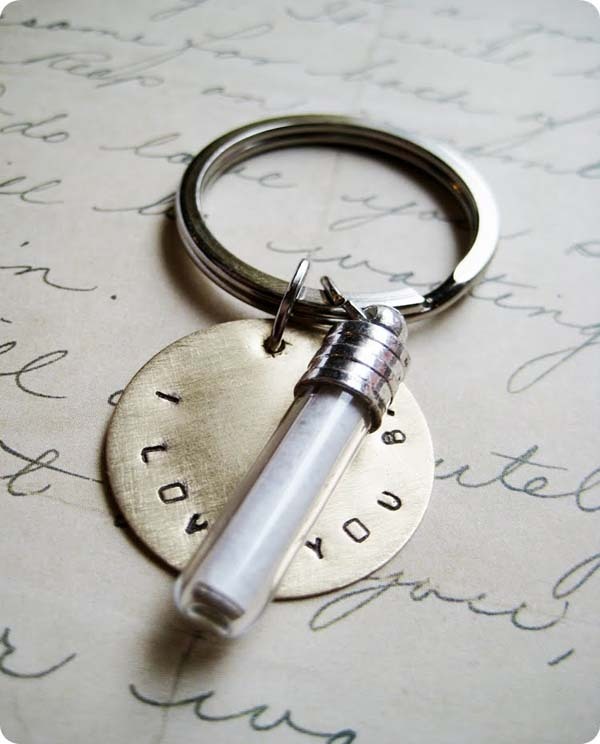 This may a little hard to do buy your love one will definitely appreciate your effort in making this key chain. The sweet message on the bottle will definitely make them smile. Wishlist Jar. Make your prepared on your next date by making a wish list. Write the wishlist in a nice paper and place it in a jar. Your partner will either discuss your plan on your next date or surprise you more. Chalkboard Painted Mugs. 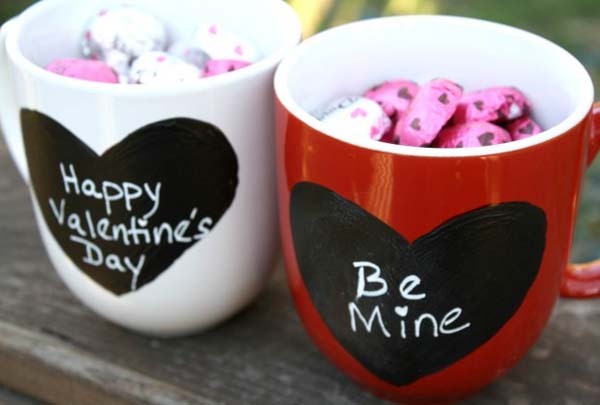 What can be more sweeter than sharing a cup of coffee or chocolate with your sweetheart. Buy this lovely mug or design your own mug with chalkboard. 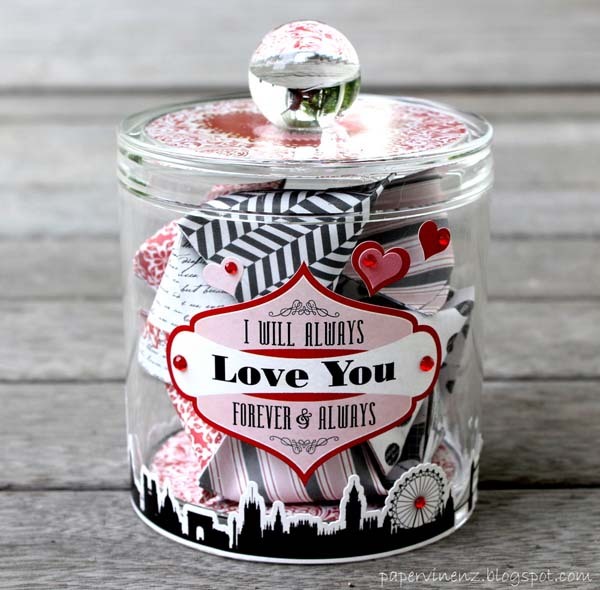 Valentine Snow Globe. 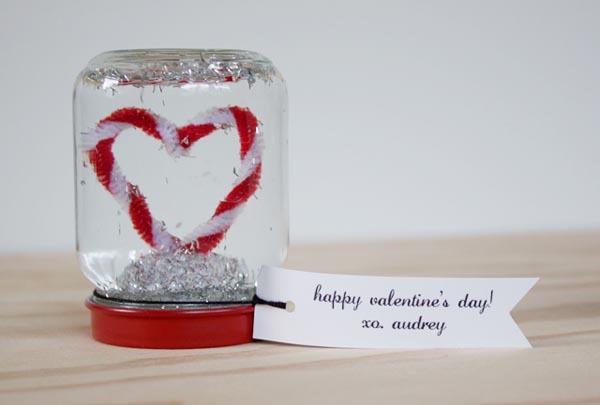 Bring the magic in your life by making your own Valentine Snowball. Share this magic with your love one. 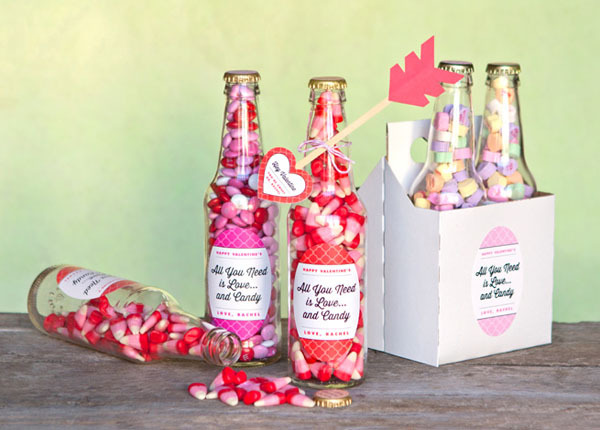 Valentines Candy Bottles. Do you have unused bottles at home? Sterilized it and add a choice of your candy or chocolates. Decorate it with lace or card and you can give it to your friends this Valentines. 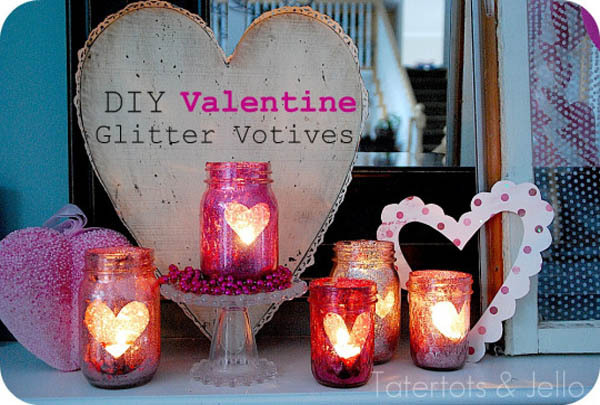 Valentine Glitter Mason Jars. The sweetest date could start from simple things. Ask your date at home and prepare dinner for the both of you. 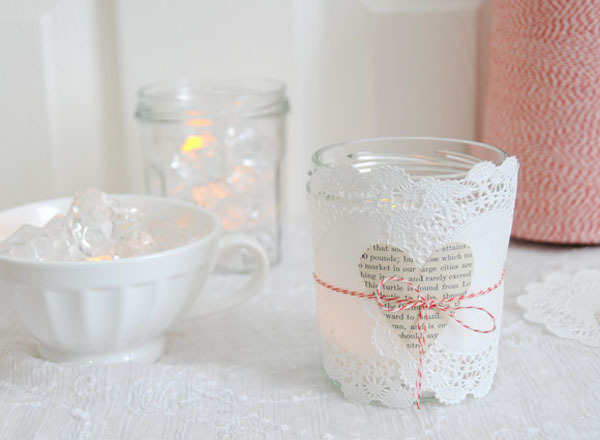 Turn off the lights and make your date enthralled by putting this nice jar candles on the table. 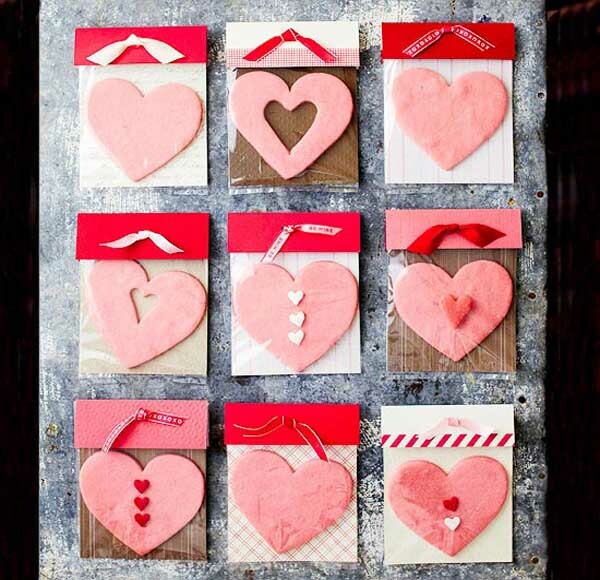 Valentine Sugar Cookies. 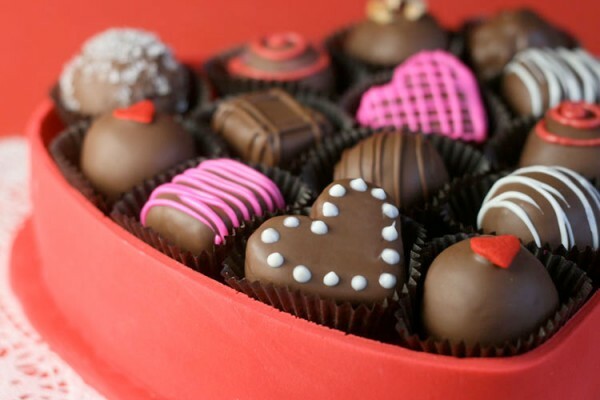 Sweets for your love one this Valentine. Create your own sugar cookie and give it to your friends. You can even sell it to earn more. Couple Pillow. 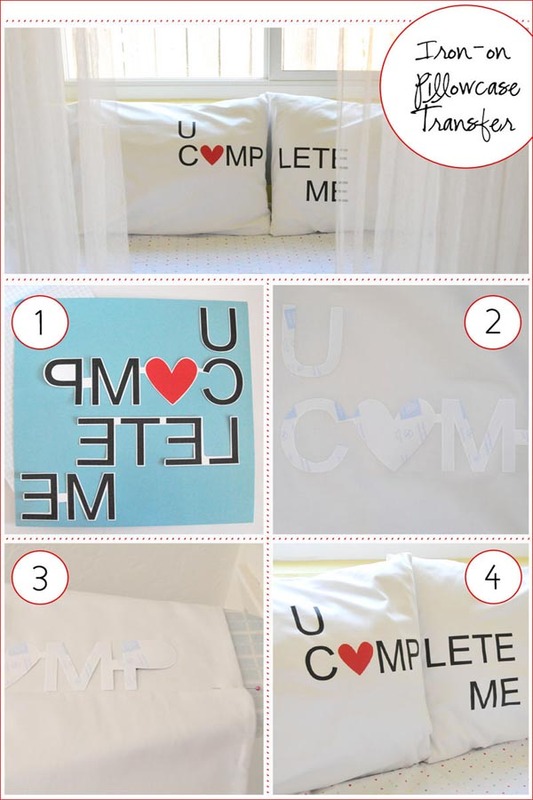 Design a valentine pillow. Your design can be a cute heart. You can also design a message or a sketch of your choice. Then give it for your dearest love on Valentine’s day. DIY Frames. 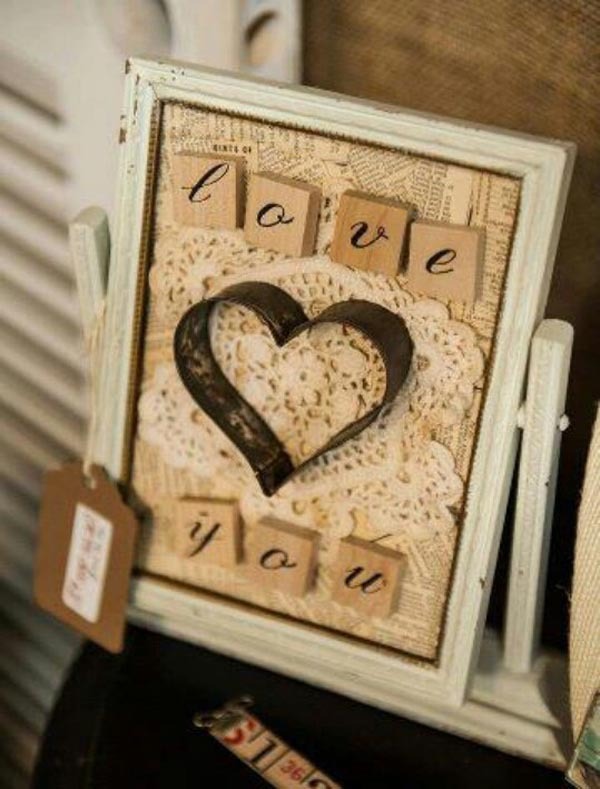 Express your love with a classic picture frame. Personalize it with your own thoughts. Adding a picture of you and your love one will make it sweeter. 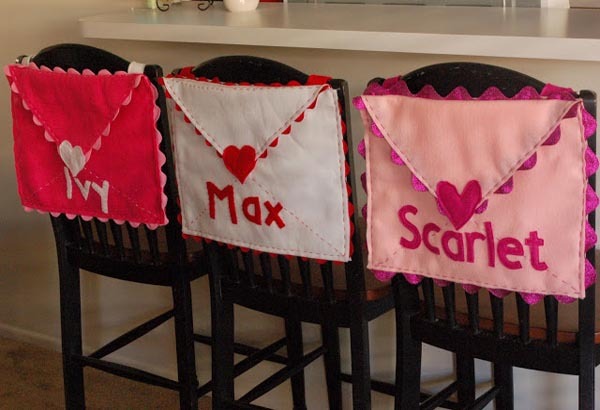 Chair-Back Valentine Envelope. Celebrate valentines in your home. Then add this adorable looking Chair Back Valentine. Perfect for celebrating valentines with kids. Dry Erase Message Board. 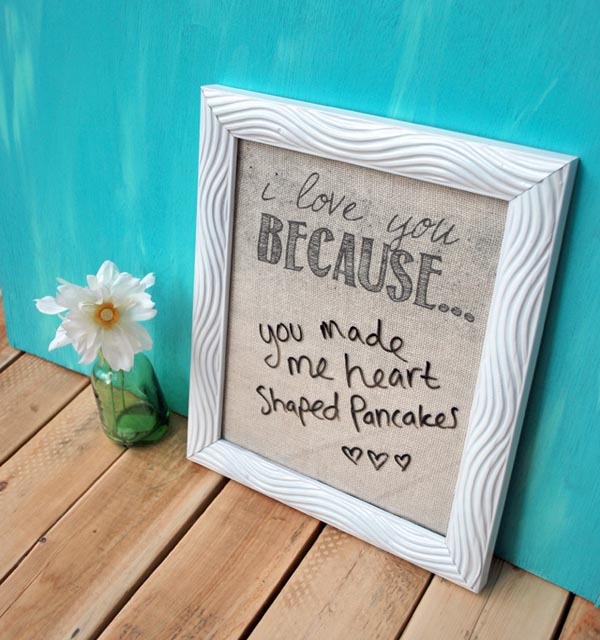 Communicate with your darling with a dry erase message board. Tell him the reasons you love everyday. DIY Valentine Wreath. Surprise your husband or wife when they get home from work. 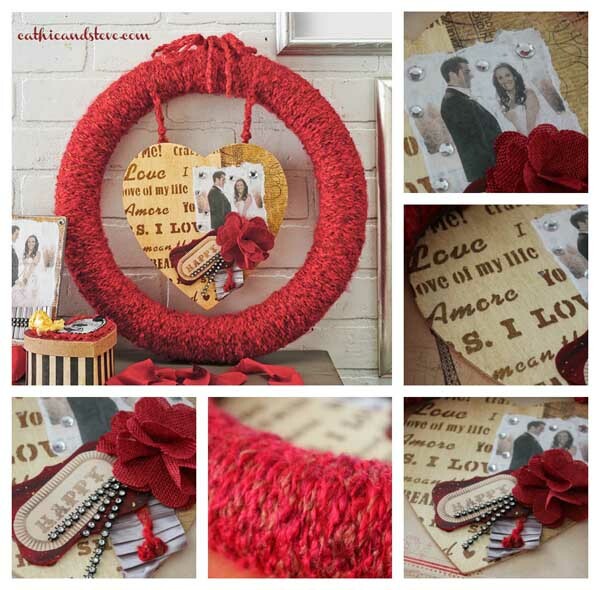 This beautiful valentine wreath can be displayed at your front door or in your room. Unraveling a Letter. 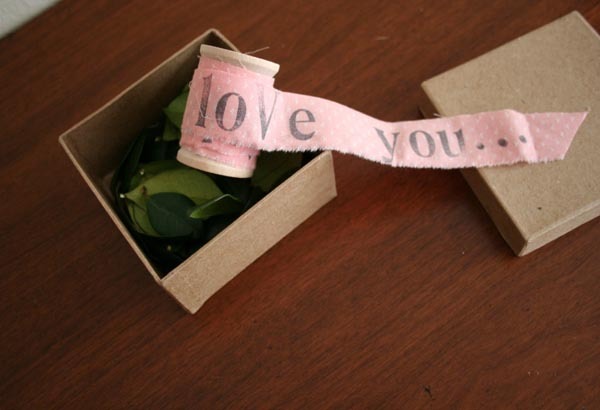 Stamp your cute message in a fabric and place it neatly in a box. You love one can display this on his or table when at work or at home. Tiny Gifts, Big Thoughts. You can give a watch, a necklace, a sweet chocolate or a piece of bling for your beloved. 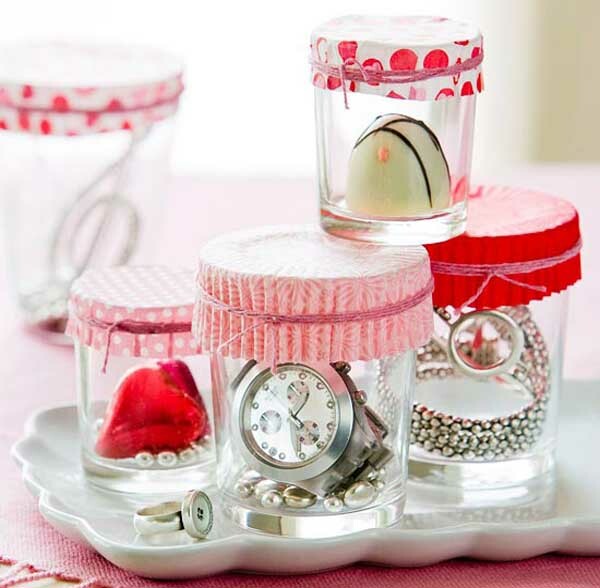 Make your gifts presentable by placing it in a jar. Wrap it with a nice paper and share it with your love one. 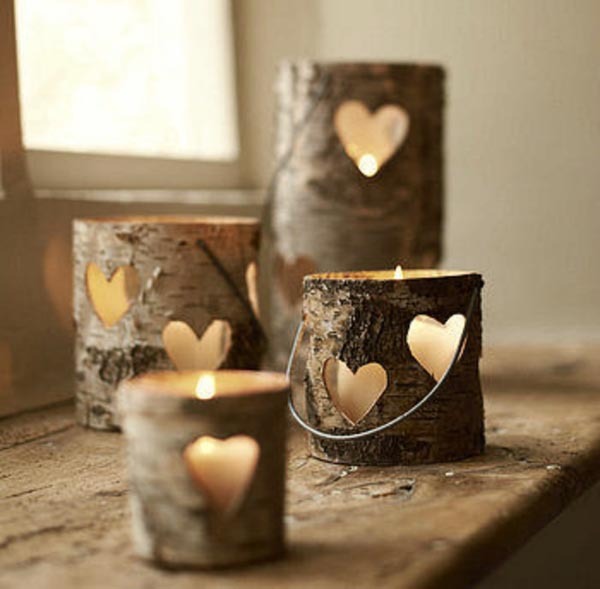 Get this nice wooden candles and relax at your home during Valentines. Burn a scented oil while you and your partner enjoy your dinner together. This will help you lighten up your day after work. Valentine Lightbulb. When you and your partner’s relation seemed to be on ice. A little bit of light will remind you and your partner to be strong. 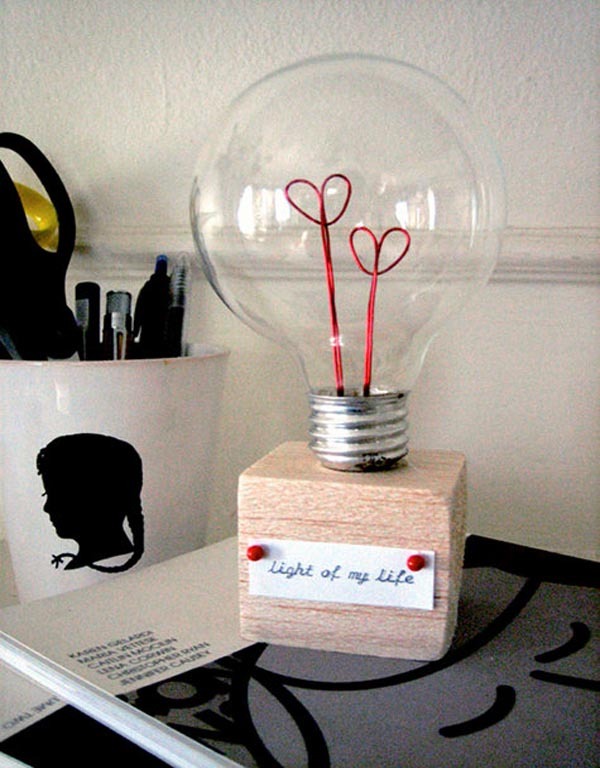 So create this light for you and your love this valentine. Painted with Love. A better way to celebrate Valentine’s is to drink with your partner or friends. 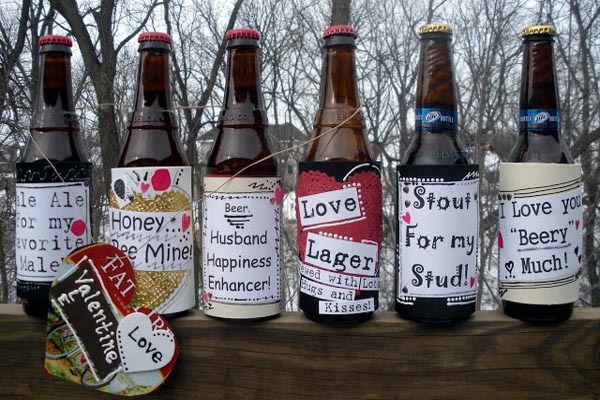 Personalize your beer into sweet greetings or cheers. Don’t forget to bring additional snacks and love for Valentines.